“I would prefer barley be fed to pigs than it be used to turn men into swine.” So said, reportedly, Lady Jane Franklin in 1838. Jane was the wife of the Governor of Tasmania at the time, John Franklin, and her disdain for whisky led him to outlaw small pot stills on the island. Unfortunately for Australia’s many small batch distilleries, John Franklin’s ban was written into national law when Australia was federated in 1901. From that point on only large distilleries, such as Bundaberg Rum, would be able to keep their doors open. But, 90 years later, Bill Lark, the ‘grandfather of Australian spirits’, had the law overturned in Tasmania (with other states soon doing the same), and the Australian spirits industry finally began to recover from Lady Jane’s history-defining horror. “Tasmania has a beautiful community of distilleries. Bill Lark was very open with helping everyone out each time a new distillery opened,” says Sebastian Costello, Owner and Director of Melbourne’s Bad Frankie, until recently Australia’s only bar exclusively serving Australian spirits. When Costello opened Bad Frankie he had 80 Australian spirits on the back bar – today he has 500. That phenomenal growth has mostly come from Australian craft spirits, which according to research released in November 2018, is growing at 110 per cent in contrast to the total spirits market. The category is now worth $17.1 million, up from $10.8 million in 2017, though craft spirits are still just a drop in the large barrel that is the $1.8 billion local spirits industry. There are an estimated 120 distilleries in Australia today, located everywhere from city industrial districts to rural farmhouses and ocean-fronted cellar doors. Back in 2013 there were fewer than 50. If you ask many in the industry the turning point came in 2014, when Tasmania’s Sullivans Cove Distillery won the World's Best Single Malt for its French Oak at the World Whiskies Awards. 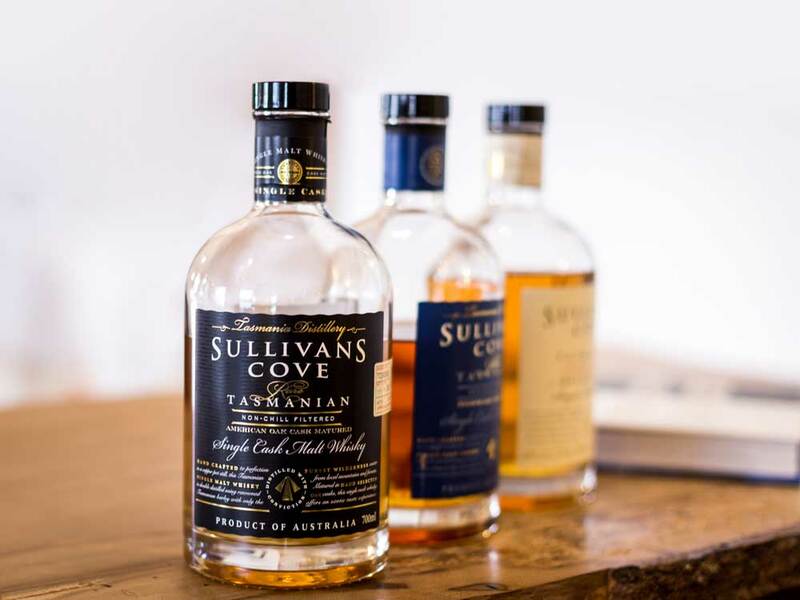 Using only 100 per cent Tasmanian ingredients, Sullivans Cove is the second oldest whisky distillery in Tasmania, having opened a few years after Lark Distillery. In 2018 it again won big when its American Oak was declared World's Best Single Cask Single Malt. On the more affordable end of the Australian craft whisky scale is Starward, a Melbourne distillery that opened its doors in 2007. Matured in Australian wine barrels for three ‘Melbourne years’, this crowd-pleaser now turns over $2 million a year. Despite the international accolades that have rolled in for Sullivans Cove, it is gin, not whisky, that is currently dominating the Australian spirits scene. At last year’s Australian Distilled Spirits Awards there were 31 entries in the whisky division, 29 vodkas, 23 rums, 10 brandies and a whopping 130 gin entries. In Australia a spirit must spend two years in a barrel before it can be called whisky, but gin can be distilled, bottled and sold all on the same day – an ideal scenario for cash-starved craft distilleries. “In Australia we have a background in high-quality wine and craft beer, so there was no reason we wouldn’t be good at distilling spirits. 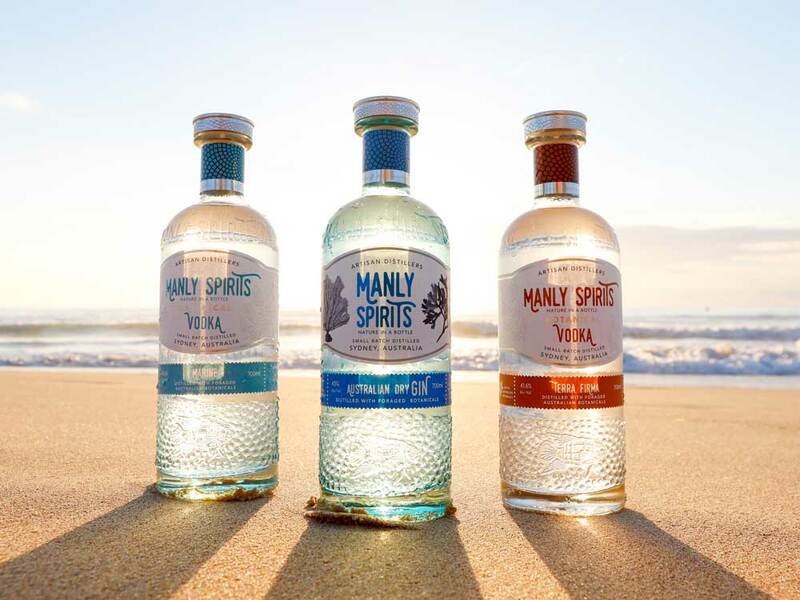 It was simply the legislation holding us back,” rationalises Vanessa Wilton, Co-owner of Manly Spirits Co. Having only launched in April 2017 on Sydney’s northern beaches, the distillery’s Australian Dry Gin has already won Double Gold medals at the 2018 San Francisco Spirits Awards, one of the key annual global competitions. Rather than place all its eggs in one basket, Manly Spirits, like numerous other distilleries around the country, has a diverse portfolio, distilling gin, vodka, whisky and liqueurs. Costello, Sable and Wilton all agree that what sets Australian spirits apart from their global competitors is the use of native Australian botanicals. Sydney’s pop-up of the world’s best restaurant, NOMA, also had a hand in raising the profile of Bathurst’s Stone Pine Distillery, when its Orange Blossom Gin was selected to be the first pour on site. Ian and his wife Bev were looking for a lifestyle change when they moved to rural Australia in 2006. With a long family history in the Scottish distilling industry, Ian saw how cocktail culture and craft spirits had taken off in the UK and the USA, and knowing that Australia tends to come up a few years behind those two main markets, figured he should get in early. Despite small rebates, Australian spirits are still taxed at a much higher rate than wine or beer, with the excise increased every six months in line with inflation. Yarra Valley’s wildly popular Four Pillars exports gin to 23 countries, but most distilleries claim the ‘spirits super tax’ stops them from achieving anything close to that scale. Despite some barriers to entry there are still plenty of people who see the vast potential in Australian spirits, such as Margaret River winemaker Greg Garnish who in 2018 launched Australia’s first pisco. “We started selling our version of pisco, a white brandy usually made in Peru from Muscat grapes, at our cellar door, and it exploded,“ says Garnish. “Wine has happened. Craft beer has happened. There is just such massive growth to be had in spirits.” Garnish is so convinced, he is leaving winemaking behind to open his own distillery in 2019. 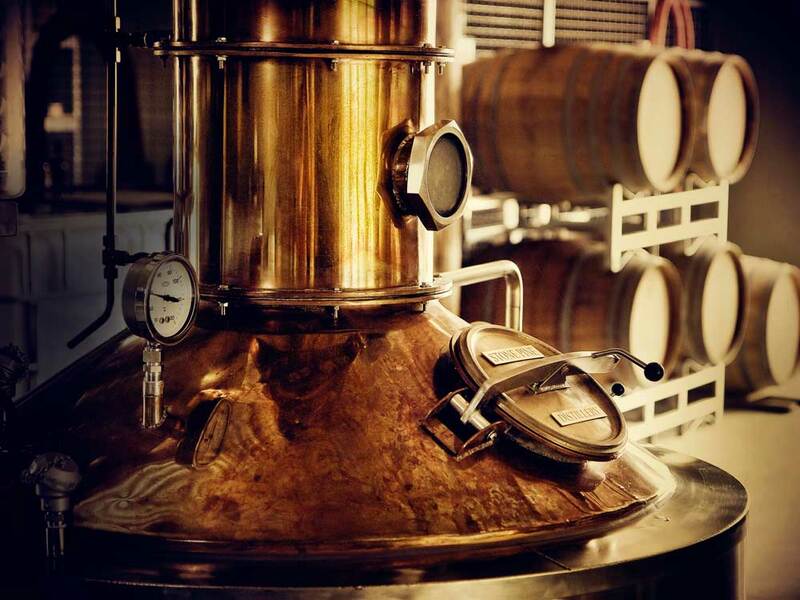 While Sullivans Cove released their own limited-edition brandy in 2018, other distilleries, such as South Australia’s award-winning St Agnes, have been handcrafting Australian brandy for decades. Tasmania’s Hartshorn Distillery uses cheese by-products to make its gin and vodka, the latter of which won World’s Best Vodka in 2018. Kristy Booth, daughter of Bill Lark, opened Killara Distillery in 2015. It is one of very few distilleries in the world to be owned and operated by a woman.